Anyways, we're pleased to have this, even if we are puzzled by it. Mostly, we just don't know how to pigeonhole this thing. Spazzy drum machines collide with fuzzed out guitars and even more fuzzed out vocals, pounding away like a hyperactive squirrel with a jack hammer at the bottom of a well. See, that's what happens when you let us try to describe music. 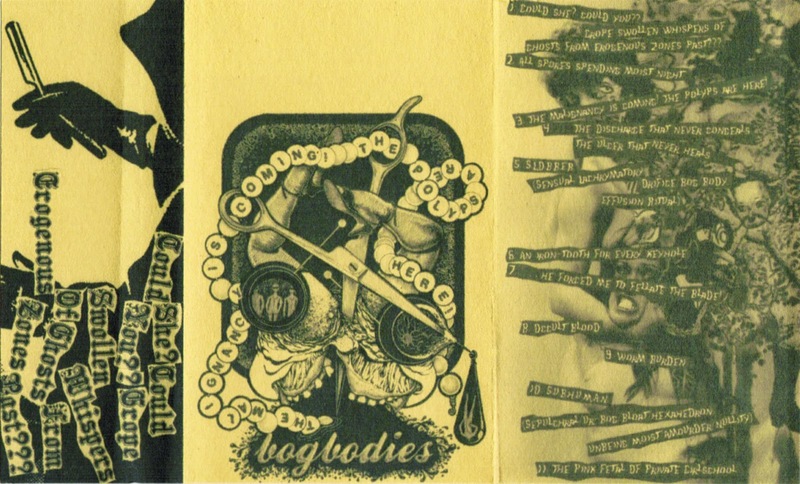 Grab this from the Bog Bodies bandcamp and let us know what YOU think it sounds like.